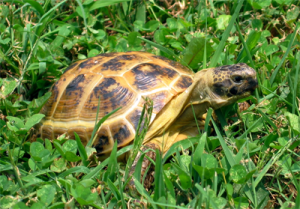 Like many pets, the Russian Tortoise, also known as the Horsefield Tortoise, are awesome pets. Before we dig into this article though, I have saved the best information for my email guide so be sure to get it by entering your email to the top right above to get the course send to your email inbox instantly! Okay, onward! They are great companions, but they can require a lot of work to prepare and maintain their necessary lifestyle. Picking the right tortoise, and more importantly, the right place to buy your tortoise, is an equally challenging prospect. Though originating in the Mediterranean, Eastern Europe, and Western Asia, these pets are now very popular in the United States and United Kingdom. Because they are such popular pets, it’s becoming increasingly easier to care for them: you no longer have to stress about finding the right kind of supplies in an appropriate amount of time. Here are just a few of the things you should consider before buying your first Russian Tortoise. If you are buying a wild-caught Russian Tortoise, then it’s safest to buy a baby than an adult. At their young age, they will still be able to acclimate to a new environment, while an adult tortoise might have a stressful transition. However, captive-hatched tortoises are less likely to have parasites and disease, and may end up being less expensive for you in the long run. If you’re not interested in buying a baby tortoise, older ones are still great pets. While you can find both baby and adult tortoises preowned, it’s much more common to find adults. Preloved.co.uk is a great resource for finding pre-owned (and pre-cared for!) tortoises. However, your best bet is always a reptile shop. If you don’t have a shop near you that specializes in reptiles, the nearest pet store, breeder, or reptile show will also make great options. Buying wild-caught tortoises includes its own complications (especially if they’re shipped overseas), and buying online is never as safe as anyone hopes. In person, with a guarantee of safety and health is always your best choice. When finally buying your new tortoise, and especially if you’re buying it pre-owned, it’s good to know a few things to look out for. 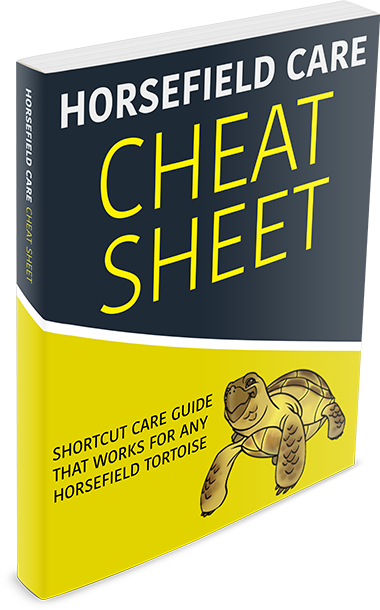 Here is a simple list of things to look out for- Cloudy Eyes–make sure your tortoise has clear eyes- Mucus/Bubbling Nose–this is a sign of illness, so make sure your tortoise has a clean nose- Rear showing buildup or residue–this is also a sign of illness, so avoid it!- Obvious shell damage or “pyramiding”–pyramiding this is when the scutes (pieces that make up the shell) are raised and pointed in a pyramid-like structure, shell damage is likely a sign of mishandling, and you should avoid the seller- Non-responsive/incoherent–make sure your tortoise is active and alert- Light/weak–your tortoise should be heavy and strong- Dirty/crowded housing, housed with different kinds of tortoises–this is when it helps to know some basic facts about your Russian Tortoise, especially when you’re trying to distinguish it from other tortoises. Never buy a Russian Tortoise that’s been kept with other kinds of tortoise. A major problem that arises when raising tortoises is not giving them enough space to exercise. They may be slow, but it’s still important that your new pet has enough space to stretch its legs! When keeping a Horsfield Tortoise indoors, make sure they have at least 3 square meters of space. (This is 3 square meters per tortoise, so make sure and get a larger tank if you have multiple tortoises. The enclosure should get plenty of sunlight and be at a temperature of 21 degrees Celsius, ordinary room temperature, but between 30 and 35 degrees Celsius under the lamp.As with most tortoises, the best environment is one which includes and indoor and outdoor setup. There are two requirements when building an outdoor setup: the soil must be well-drained and the tortoises must not be able to burrow out. Tortoises love to burrow, so don’t prevent them by putting down wood or gravel. Prevent your pets from burrowing out by circling the ground underneath (about 30-50 centimeters deep) with two layers of chicken wire. Place gravel and your soil on top of the chicken wire. Russian Tortoises can eat a variety of greenery you can likely find in your yard, including dandelion, clover, honeysuckle. They also enjoy some of our favorite vegetables as well, including leafy salads, watercress, curly kale, brussel tops, spring greens, coriander, parsley, rocket, carrot, parsnip, courgett, peppers and small amounts of non-citric fruit. Never feed your pet cabbage, spinach, onion, tomato, buttercup, citric fruits, or iceberg lettuce. Feeding your Russian tortoise doesn’t have to be expensive, just make sure to research a food before introducing it into your pet’s diet. Though it’s important that your tortoises have at least 3 square meters each, it’s equally important that they not have too much space. Remember that you’re making an environment for them, and you need to be able to find them. You’ll understandably have less room inside than outside, but try and abide by the 3 square meter rule. Always make sure and prepare your tortoise’s habitat before bringing home your new pet. They’re already undergoing a lot of stress as they switch environments, and not having a comfortable home already secure can further stress your tortoise, and potentially make them sick. Make sure you’re able to dedicate the appropriate amount of time to them before purchasing, and make sure you have plans set up if you’re not able to care for your new pet. Ready for your new tortoise? Take the proper preparation steps and familiarize yourself with tortoise care and you’ll be a pro in no time. Simply follow these simple guidelines, and bringing home your pet will be easy!